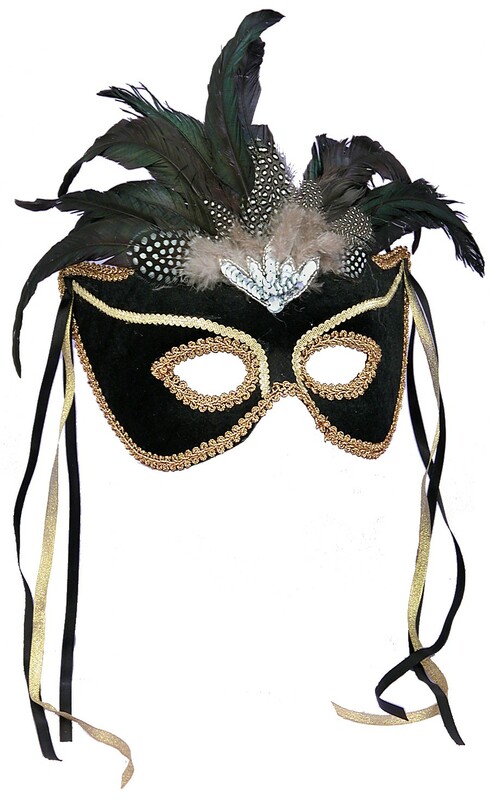 This lovely half mask is Black with Gold Trim, Feathers and Black & Gold Ribbons. The mask has an attached, rigid plastic, 'U' shaped headband which allows the mask to swivel down over the face or up over the head. Mask measures 9" wide and 5" tall - 9" tall including the feathers.